In order to cater the variegated demands of our precious clients, we are offering an excellent quality range of Edge Grinding Machine. Edge grinding is very special operation in manufacturing of Drums & Barrels, because some amount of material is to be removed from the edges of the body which give advantages. - Welding operations removes dirt, oiliness etc, extra strength to the weld and a leak proof joint. Leveraging upon our technologically progressive production facility, we are highly engaged in presenting Edge Grinding Machine to our respected customers. 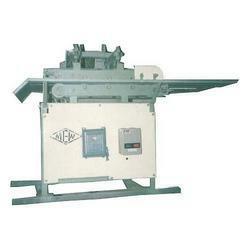 We are one of the leading manufacturers and suppliers of a premium range of Sheet Edge Grinder Machines. These are employed in the industries for grinding both side of the drums by a pneumatic cylinder. 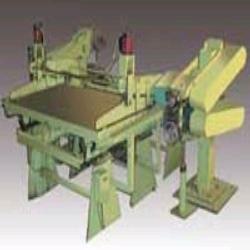 The clamping and dis-clamping of the drums are done by utilizing the air cylinder provided with these machines. Also, these are easy to use and maintain in the industrial environment. A) Welding operations (removes dirt, oiliness, etc. ), extra strength to the weld and a leak proof joint. The main purpose of an Edge Grinding Machines is to grind all the 4 side edges of the sheet after the shearing process in order to achieve welding convenience. Use of this machine in drum manufacturing avoids pit holes making the drums 100% leak proof. Manufactured using high quality steel, the grinding wheels are operated by electrical motors while the machine itself is pneumatically operated.